Since the early 21st century, many Marvel comic heroes have been given their own film adaptations, including Spider-Man, Fantastic Four, The Hulk and Iron Man. The superhero genre itself has become very commonplace amongst the film industry, with at least one superhero blockbuster released each year. 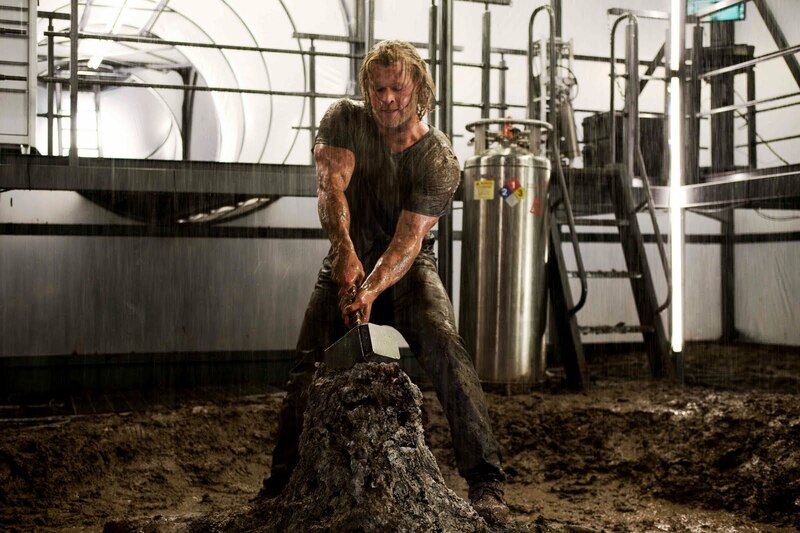 This time, Thor, Marvel's almighty god of thunder, is given the live action film treatment, in this new summer hit directed by Kenneth Branagh. 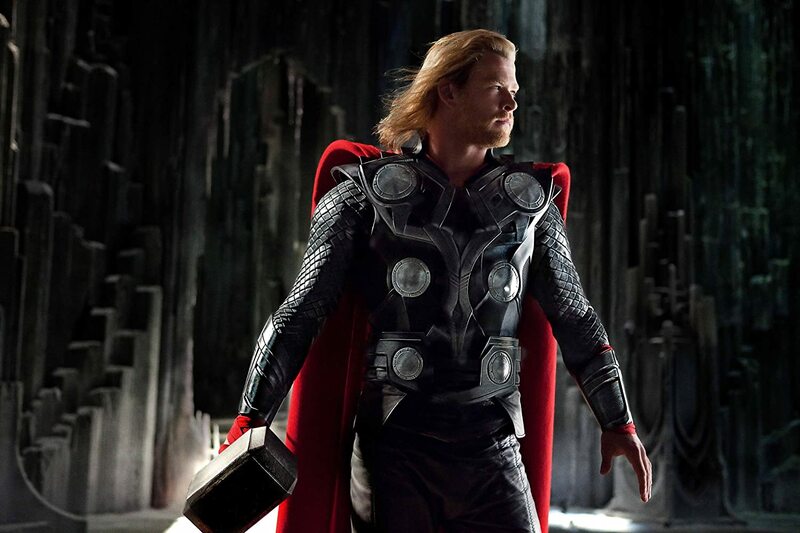 The plot revolves around Thor, the god of thunder (Chris Hemsworth), banished from his realm due to his war hungry, arrogant nature. 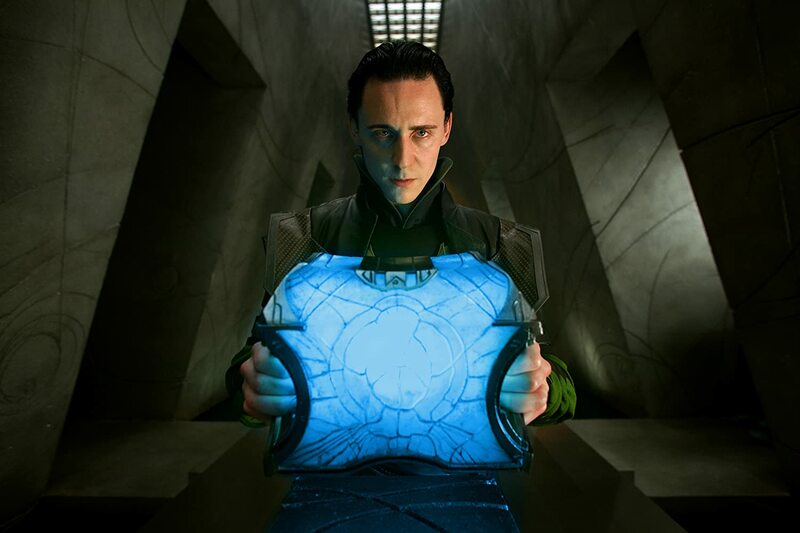 Losing all his powers in the process, he finds that he must discover the errors of his ways to reclaim them to face Loki (Tom Hiddleston), his twisted, jealous brother. I'll start off by mentioning the visuals, which is one of the key aspects for a film like this. The world of Asgard is truly stunning, with a creative and well thought out design. Nicely executed establishing shots give us a pleasant overhead view of this lush environment, and it's obvious a lot of effort was put into crafting it. Special effects remain consistently good throughout, really helping to provide not only a creative spectacle for the film but also allowing for some high-octane action sequences. The film is viewable in 3D, which is of course nothing but a gimmick. In this film, however, I was even less impressed with it that I have ever been before. It was barely noticeable, never used to enhance the experience and was just pointless. If you can find the film in 2D, then that's the better option. The story plays out nicely, with the character Thor experiencing notable changes in his personality as everything progresses. His love interest, Jane Foster (Natalie Portman) is a rather underdeveloped character, doing almost nothing useful for the majority of the film and having no fascinating chemistry with Thor himself. At first they just seem to like each other, yet out of nowhere love seems to spark and it all feels rather rushed. It's also one of those plot elements that takes a back seat, with the main focus being Thor's rivalry with his jealous brother. Whilst this is a concept that won't really tug on any heartstrings, it makes for an interesting and unique villain role. There's also a band of warriors who play small roles in the movie, and it's often hard to tell if they exist for comic relief or to serve a true purpose. They're very underdeveloped, and when you think they're going to be serious, they aren't. 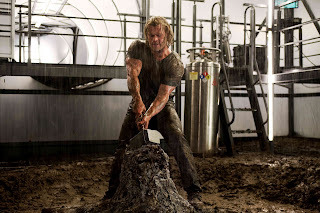 The acting was relatively superb throughout, with Chris Hemsworth playing a fantastic Thor. Whilst it sometimes seems that his accent is fluctuating slightly, he still manages to balance the humour and emotion as Thor navigates the unfamiliar territories of Earth and eventually steers away from his former spiteful self. Tom Hiddleston plays the role of Loki very well too, delivering a somewhat sophisticated villain persona and truly emphasizing the troubles and jealousy of the character. 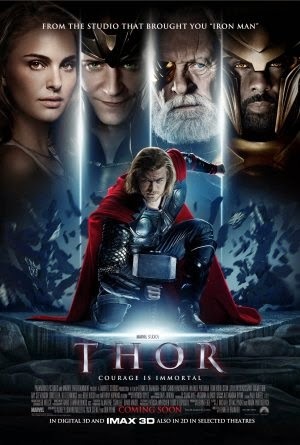 One of my favourite performances in the film was Anthony Hopkins as Odin, the King of Asgard. Whilst he isn't given as much screen time as I would've liked, Hopkins still manages to deliver a fine performance, even when given some rather iffy lines. The underdeveloped stuff aside, my other annoyances include some really noisy action sequences. The Destroyer is a giant robotic monster under the control of Asgard's king, and whenever it shoots enemies, the noise it makes is stupidly loud and irritating. This is a problem seen in a lot of the films action scenes, and whilst it's nothing that truly downgrades the film as a whole, it's rather exasperating. Not to mention there's some moments in the action sequences (which are actually quite scarce, if I may add) where the filming is rather shaky, leading to a struggle to identify what is happening, which is always an annoyance. Now it's time to wrap things up. Overall, my unfamiliarity with the comics didn't take away from the film itself, and I still found it very enjoyable. Despite some truly underdeveloped characters and concepts, as well as some stupidly noisy and shaky action sequences, it's still a pleasing start to the 2011 summer movie season and worth a look for anyone who's interested. Stay behind for the credits too, for another interesting teaser.